The 23-year-old pop star - who is also an actress and model - teamed up with the British rockers to record her vocals on 'Where The Light Gets In', which features on their new album 'Chaosmosis'. 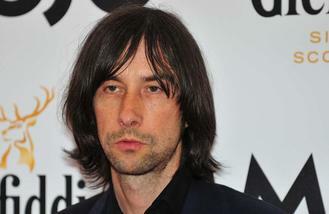 Primal Scream singer Bobby Gillespie has been a fan of Sky's for years and was thrilled he got the chance to duet with her and was very impressed by her commitment to record the track with the band and not via computer. In an interview with The Sun newspaper, Bobby, 55, said: "She was more than my equal. She's amazing. I became obsessed with her track, 'Everything Is Embarrassing', back in 2013. At this point, she hadn't released her album but tracks were leaked online." Revealing how Sky and Primal Scream got together, he added: "She flew from LA to New York and we flew from London to New York. We did a session for a few hours, recorded amazing vocals and then came back. That's how you make rock 'n' roll. It's commitment and all of us were committed to making a great record." Bobby is a fan of Sky's music because he can hear the influence of his old band The Jesus and Mary Chain. He said: "(When I heard her songs) I thought, 'This girl is in her early 20s and she's clearly influenced by The Jesus and Mary Chain and Suicide. But with a contemporary pop twist. And I sensed a real vulnerability and heart in her voice."